In a special story published in the Sunday edition of a Pakistani daily newspaper, the lack of interest, capacity and ability to cover Balochistan in mainstream media is discussed from different points of view. Below is an interview with Alia Amirali, a researcher on the Baloch National Movement and a lecturer at Quaid-e-Azam University, Islamabad. To read all parts of the special story published by The News, click here. The News on Sunday: The mainstream media is unusually quiet about Balochistan. Is the media scared or lazy or are there genuine capacity issues which prevent news from coming out? Alia Amirali: All of the above are true in part. Having recognised the power that “making news” has in forming public opinion, the media has indeed become lazy and in many cases corrupt. It is also true that journalists in Balochistan (particularly the honest ones) do fear for their physical safety, wary of both the state and the guerrillas. Media groups have not adequately equipped their Balochistan desks; they are limited to Quetta. But the major hindrance to coverage on Balochistan comes from the mainstream media’s acquiescence to the state’s position of keeping mum en-masse on state-perpetrated atrocities against ordinary Baloch people and on invisibilising the intensity of the resentment that has arisen in the Baloch people for the state and its ruling classes. The mainstream media, as the term itself belies, is by no means politically or ideologically ‘independent’ of the status-quo. On the contrary, it becomes “more loyal than the king” in defending the “national interest”. TNS: There is a sense that the anchorpersons of the powerful electronic media decide their own content. What in your opinion stops them when it comes to Balochistan? AA: For one, these anchorpersons are mostly people who are chosen for the position precisely due to their pro-state/pro-status-quo allegiances, so they wouldn’t be keen to touch the ‘sensitive’ issue of Balochistan. But the other factor here is that for these anchorpersons, as for the layman, Balochistan was never in their ambit until -- sadly -- Punjabis began to be targeted in Balochistan in recent times. That the Baloch have suffered five phases of military onslaught, been bombed, shelled, abducted, tortured, raped, mutilated, harassed and humiliated on a daily basis, was never enough to peak these anchorpersons’ interest. As a result, these anchorpersons are blank when it comes to Balochistan. They simply don’t know enough to be able to lead discussions, to ask informed, relevant questions; and since most of them have no desire to render sacrifices “in the line of duty”, they will not bother to go out and get the information and the familiarity they need to cure their ignorance. TNS: Media critics think that what is missing in the case of Balochistan is not the news but an analysis of the news or treating each news item as an isolated occurrence. Do you agree and if yes is this deliberate? AA: Both news and analysis are missing. The fact that various Baloch areas have been made a no-go zone for all “outsiders” (which includes Balochistanis themselves) has severely hampered the quantity and quality of news emerging from the war-torn districts. But the more dismaying aspect is the treatment of the news that does emerge. The focus of mainstream reporting on Balochistan remains on the anti-Punjabi character of pro-independence groups. The coverage of the much larger issues of the military’s unbridled powers, its unabashed use of violence and terror against unarmed people, and its colonial relationship to the territory, resources, and people of Balochistan is either mystified, denied, or rationalised under the guise of “fighting Indian involvement”, “resolving tribal feuds” or “bringing prosperity”. The Army’s “development initiatives” are given much hype without eliciting people’s responses to them. Corruption and austentatiousness of Balochistani ministers gets a lot of play. People’s voices are deliberately marginalised because our state cannot afford to let us see what it is doing in Balochistan. A politics of hate is being deliberately cultivated by the establishment (of which the big fish of the corporate media are fully a part) by presenting the movement as merely identity-based, so as to ensure that the core issue of internal colonialism does not emerge into public discourse. TNS: What about the social media? People outside think they don’t see Balochistan on Facebook or Twitter or even in text messaging while some people say that it is much more vibrant than the mainstream media. What is your observation? AA: I am not sure about Facebook and Twitter, but the internet-based Baloch newspapers and websites have been instrumental in disseminating day-to-day information about the ground situation in Balochistan. 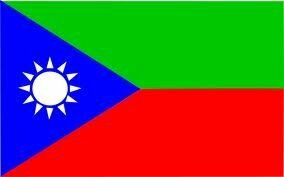 Pro-independence groups put up current pictures, videos, speeches of guerrilla leaders onto the internet, which are then disseminated to various sites frequented by Baloch youngsters, many of whom are in the diaspora. Unfortunately, this technological ‘revolution’ in the Baloch movement has gone by the average Pakistani internet-user largely unnoticed. TNS: Three visible areas that seemingly deserve coverage are the Baloch nationalist movement, the religious-militancy question, and the battle for the goldmine of resources involving international players. Are the three connected and how must they be covered in the media in your opinion? AA: The three are connected, yes, but often the connections that are made between them serve to obscure rather than reveal. For instance, the religious-militancy question is often lumped together with the Baloch movement though the two are entirely distinct ideologically, historically, and even territorially. Similarly, international players’ interests in Balochistan’s natural resources have been used to dub the movement a “foreign conspiracy” which conveniently side-steps the fact that the call for Baloch independence is a response to decades of oppressive colonial rule. At the same time, the connections between these ‘areas’ are also not straightforward. One must be cautious, responsible, and certainly well-informed while connecting the dots between these features of the Balochistani political landscape.